We are so used to flicking a switch these days that it’s increasingly difficult to imagne how the world ever functioned without electric lights. Electric street lighting came to a number of British towns, including Blackpool and Chesterfeield during the 1880’s, but I remember oil and gas lights still being used in certain applications as late as the 1970s. That was when my parents owned a static caravan at Mablethorpe that was still lit by gas mantles. And during the refurbishment of the councils housing stock at Duckmanton, the many builders skips on the streets were all kept visible to motorists at night by the use of bright yellow paraffin lamps hanging off the corners. 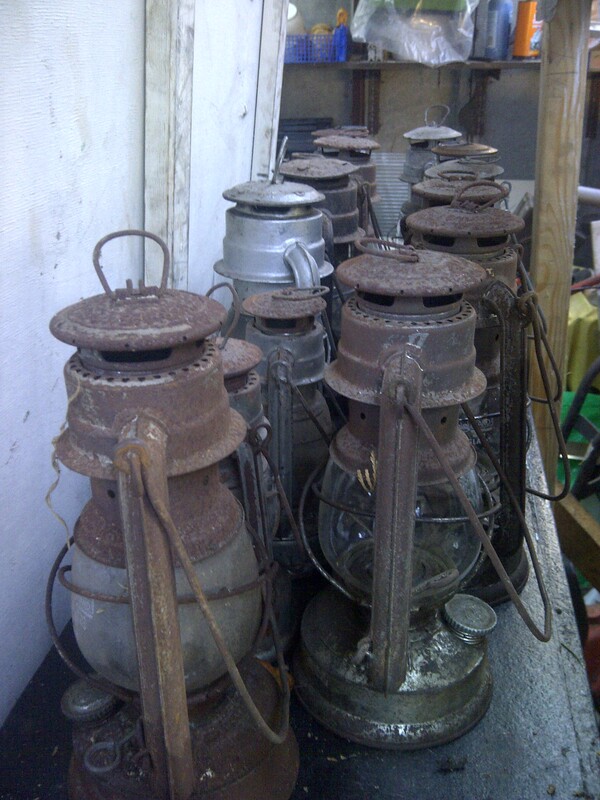 While travelling around the steam rallies each year I’ve found these old lamps form a popular talking point, so now I collect them from jumble sales, car boots and e-bay etc and restore them to their former glory. Paraffin lamps come in three basic types: The tin hurricane lamps (which can still be bought new today), the indoor type with large glass chimneys, and the square roadworks lamps which are similar to those also used on the front of railway engines in the days of steam. 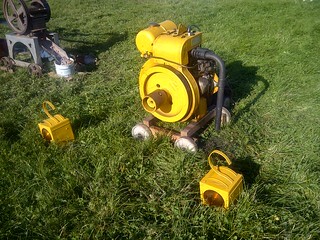 Restored Petter A1 engine with two 1970’s paraffin powered roadworks lamps.